When it comes to keeping your car or truck in tip top shape, it’s important to prep each year for the harsh winter weather in Wisconsin. At Dave’s Muffler in Kenosha, we understand the need for winter preparations and have included a list below of the most important auto maintenance tasks for the ensuing winter months. Tires – if you’re having issues with any of your tires (like extremely low tire tread, wobbling, or a constantly dropping PSI), now is the time to get them serviced. You want as much traction as you can get to maintain better control on wet or slick roads. Switching to winter tires will allow you to stop better on cold or snow covered pavement because they are capable of staying flexible at low temperatures. Brakes – critical to your vehicles safety, especially when driving on icy or snowy roads, you should have a brake inspection before snow starts to fall. Winter weather can easily cause damage and rust to your brake system. It is important to keep up with regular brake maintenance to ensure the safety of yourself and other drivers. 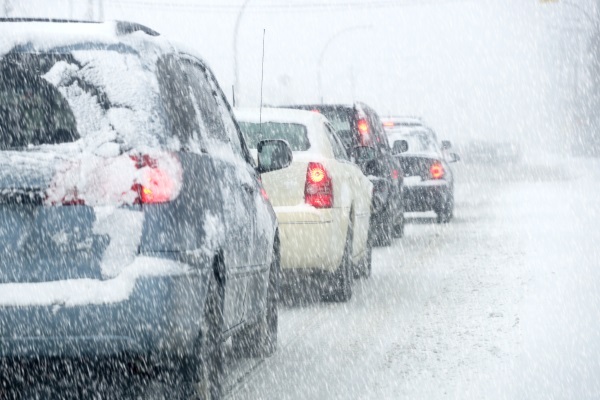 Oil – in freezing temperatures, your engine will likely perform better with thinner motor oil. It’s often recommended that you switch from 10-W30 to 5-W30. Choosing low-viscosity oil in the winter will help it flow more easily between moving parts when cold. If it’s time for an oil change, visit Dave’s Muffler in Kenosha, WI! 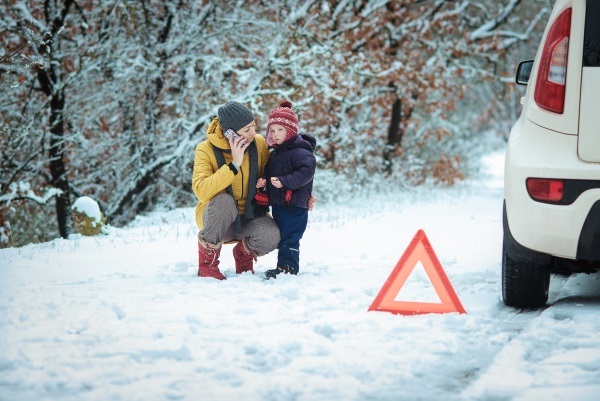 Battery – cold weather takes a toll on your battery and there’s not always warning signs that its about to fail; so it’s vital to check your vehicle’s battery and charging system. It’s recommended to replace your battery ever 3 years or so for optimal performance regardless of the weather. If your battery dies, call Dave’s for a tow! Antifreeze – proper coolant levels are important in your vehicle year round, but especially so in the winter since they keep the engine from freezing in cold temperatures. A 50/50 coolant water mix is recommended by some mechanics to achieve an even lower freezing point than offered by anti-freeze alone. Make sure you’re coolant levels are in check and that you have spare anti-freeze on hand just in case. Wipers and Wiper Fluid – check the level of your windshield washer fluid; it can aide in ice removal when necessary. Wiper blades that are torn, cracked, or don’t properly clean your windshield should also be replaced. You’d be surprised how much wiper fluid you use during the winter, so make sure to always keep some handy. It’s not a bad idea to switch to wiper blades designed to withstand the harsh conditions of winter either. Defroster and Heater – driver visibility is crucial in bad weather, so it is important to make sure both your heating and defrosting systems are working properly. The heater will keep you warm in case of an accident or car trouble, and the defroster will prevent your windshield from icing up. If you find yourself in need of a tow or roadside assistance in the Kenosha area, our professionals are more than happy to help! Don’t hesitate to call Dave’s; we’ll be there when you need us. Contact Dave’s to schedule auto maintenance for your car or truck.